Muzammil Siddiqi received his BA in Islamic and Arabic Studies from the Islamic University of Medina, Saudi Arabia and later went on to complete a degree in Comparative Religion at Harvard University. Currently, Dr. Siddiqui works as an Educator and Religious Director of the Islamic Society of Orange County where he has served since 1981. Dr. Siddiqi also serves as a member of the ISNA Majlis Ash-Shura and the Fiqh Council of North America. He has served as chairman of the Religious Affairs Committee and has been a member of the Board of Trustees of the National American Islamic Trust (NAIT). As a member of the Executive Board of Majlis al-Shura of Southern California, Dr. Siddiqi has organized and participated in several national and international Islamic conferences on Sirah, Fiqh and Da'wah. Because of his devotion to the preservation of Islam in America, he has organized numerous training programs for Muslim adults and youth. He also lectures on Islam and interfaith dialogue in North America and abroad. 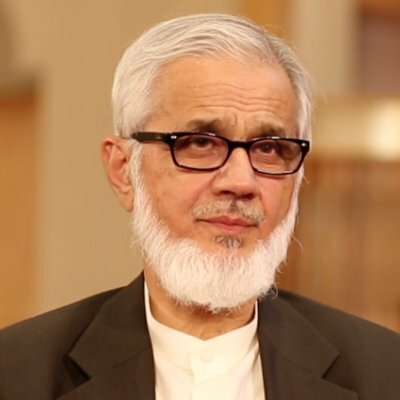 Dr. Siddiqi has authored books on Hajj & Umra, Ramadan and has published many academic papers and articles in encyclopedias and journals, as well as his weekly column in Pakistan Link. Since 1982, he has provided Qur'an commentary in a weekly radio program. Dr. Siddiqi served as the President of ISNA from 1996 - 2000.